Saskatchewan History Album – Personal and Community Stories from across our province. 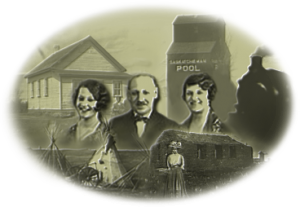 The Saskatchewan History Album shares the stories of Saskatchewan Families and Communities. These are the stories of survival and success that have shaped Saskatchewan today and were shared with the WDM during the development of The Winning The Prairie Gamble Exhibit in recognition of Saskatchewan’s 100th Anniversary. The Family History Album is a celebration of anniversaries, birthdays and family milestones like becoming a Century Farm. It also celebrates some of the communities and organizations that play a role in Saskatchewan. Thank you to all those who have helped to build the Family and Community History Album by contributing their stories to the Winning the Prairie Gamble exhibit.